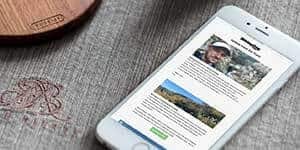 The ten essentials are the ten pieces of gear that every hiker should bring out when them on the trail, whether on a short hike or multi-month through hike. The ten essentials were invented in the 1930s to help people enjoy the outdoors safely. It was an era before helicopter evacuations and satellite beacons; the ten essentials were designed to help folks stay alive outside. Today the ten essentials still hold true at their core, but can be improved upon with the help of new gear and technology. 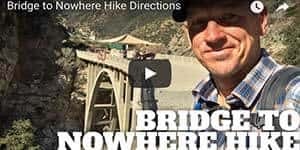 Here’s my take on the hiking essentials; this is what I take on every hike and what you should too. If you just want to see the gear that I use, you can see a complete, current list here. I carry all my hiking essentials in my pack. If I need to carry more gear based on conditions, I’ll bring a bigger pack. Today technology has made hiking much easier. Smartphones allow you to map and overlay weather in real time. LED bulbs are bright and last thousands of hours. There’s a lot of great technology out there that’s helpful. That is, until it fails. So when I pack the ten essentials, I generally include two options, a high-tech version that works great, and an old-school version that works if the high tech version fails. The small size and low weight of hiking gear today makes this possible. Navigation and maps might be the most important hiking essential. If you know where you are, you should know how to get home. If you’re lost, you’re in trouble. In this case I actually use several devices. This is pretty straightforward. Use sunscreen and SPF protected clothing to avoid sunburn (and sun poisoning). I also carry a tarp and cord in my pack so I can erect a shade shelter if need be. Sunglasses come in handy when I’m hiking in very bright environments that are pretty common in snow, mountains, and desert conditions. Snow blindness, or photokeratitis, is sun-burn for your eyes, and can happen without snow. I’ve had it; it makes it very hard to see in general. If you’re in bright conditions, sunglasses are a smart move, even if you don’t think you need them. 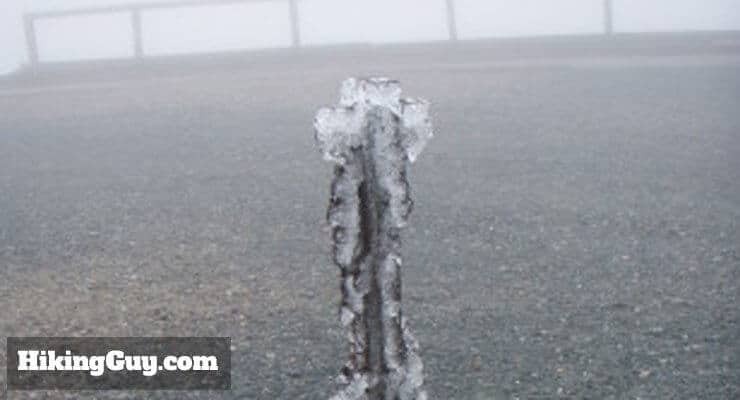 Ice on Mt. Washington, NH, on the 4th of July. At the beginning of the hike it was 80F and sunny. Being prepared to handle the elements can mean the difference between a happy hike and dying of exposure. I always bring extra layers in my pack. Clothing is so lightweight and compact-able these days, it’s not a hassle. An easy way to do this is to get pants that convert to shorts. Then use a long-sleeve hiking shirt where you can roll up the sleeves. Bring a fleece layer to top that, and then a lightweight rain shell to cover. If you have all that on, it’ll be like having a winter jacket. A small beanie is light, small, and keeps you warm. Ask yourself what the worse conditions could be on the hike, and then pack for that. And if you’re in the desert or at altitude, remember that it can get very cold at night. 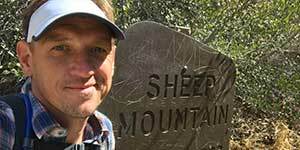 If you’re hiking in the mountains, realize that the temperature can be very different at the summit than at the base. I specifically mention LED illumination because LED bulbs can last hundreds of hours on a small charge, unlike a traditional incandescent bulb. If you find yourself in an emergency signaling situation, use the strobe function found on many headlamps to save power and make yourself more visible to rescuers. Practice using strobe mode at home; chances are you won’t have the manual with you out in the backcountry when you need it. And don’t forget to pack extra batteries. Practice changing your batteries in the dark. I have a pre-packaged first-aid kit that I’ve supplemented with some Tenacious Tape if I need to seal a major gash. 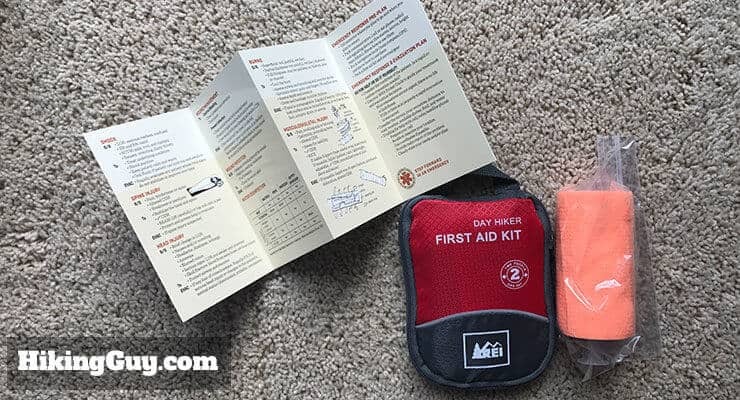 It helps to take a NOLS First Aid class; it will teach you how to actually use a first-aid kit and potentially save a life. Another benefit of the class is that they show you how you can customize a first-aid kit. Most of the time that I’ve pulled out my first-aid kit, it’s been to help another hiker. It’s been handier than I’ve imagined. You can use fire for light, warmth, a rescue signal, to cook food, and more. I try to have a lot of ways to create fire because each tool is small and light. You can also learn the primitive skill of creating a fire with a bow-drill. It’s empowering to know that you can start a fire with some raw materials. Just make sure you keep the fire under control. People trying to signal a rescue with fire have started forest fires that burned thousands of acres. If you need to build a shelter, find food, etc., you’ll need some tools. I look at this hiking essential as a general pool of things that I might need to solve a variety of problems, not just repair something. Tent footprint which you can use to haul wood and other materials. Make sure you eat regularly and keep your fuel stores up. You’ll make better decisions. When hungry, the hormone ghrelin is produced in the stomach, and ghrelin has a negative effect on both decision making and impulse control, report scientists. This is a no-brainer. Bring more food than you think you’ll need. 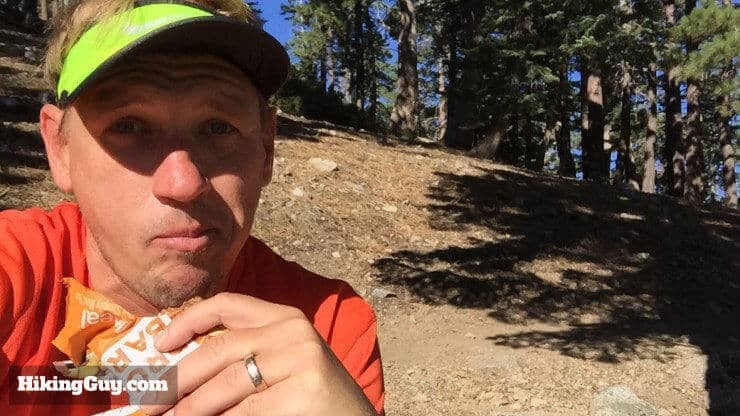 Plan on eating and keeping your fuel stores topped up during a hike, even if you aren’t hungry. But if you do get in a survival situation, don’t stress. In general, a human can go about 3 weeks without any food. You won’t feel great, but it isn’t life-threatening. Focus on bringing dense foods with you. Things like nuts and nut bars are great because they pack a lot of calories into a small package. 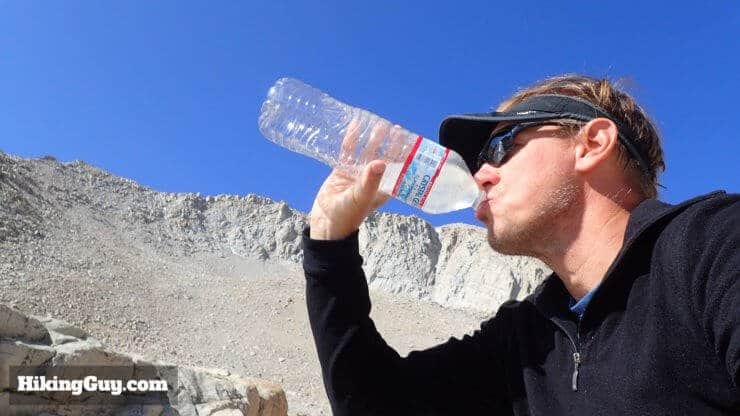 A University of Connecticut study found that even mild dehydration can lead to an increased perception of task difficulty and lower concentration levels. 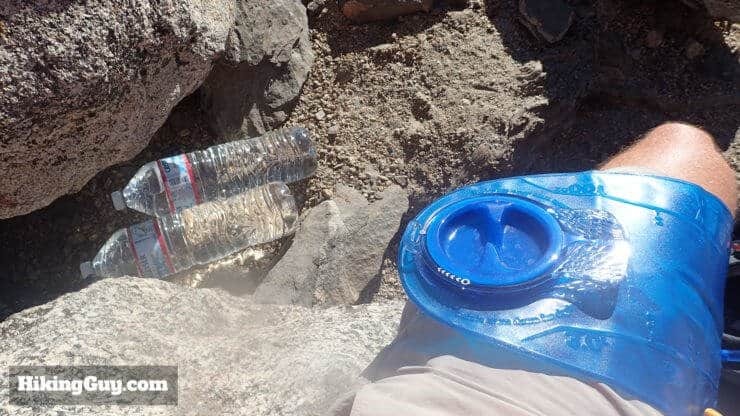 Stay hydrated to hike safely. Water is more important than food. You can make it about 4 days without water, less in extreme heat conditions. Take water seriously. I try to take at least 50% more water than I think I need. My hydration daypack has a big water reservoir, and there’s room to pack cheap 1.5 liter bottles from the supermarket. When my reservoir is empty, I dump these into it. I also carry a small water purifier so that I can pump water from streams, ponds, or puddles. My clear contractor bags allow me to create a solar still if I need to. It’s simple enough to pick up some 1.5L bottles at a gas station, put them in your pack, and then refill your 3L bladder with them. You can splurge on a lightweight tent shelter, but I find an inexpensive tent footprint does the job fine. The tent footprints tend to be pretty durable. I use it with cordage and sticks to create a basic lean-to. 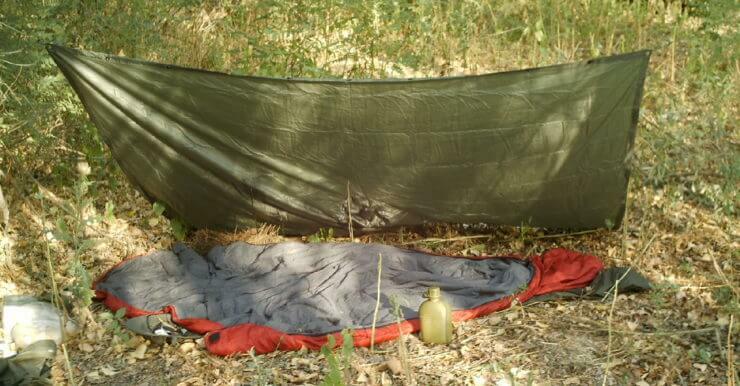 I also have an inexpensive bivy sack that I can use as a sleeping back. If you want extra warmth, you can stuff it with leaves or pine needles and wedge yourself in. 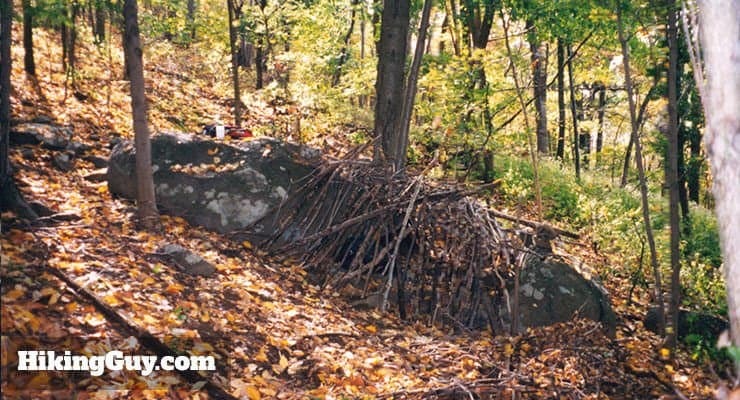 Here’s a shelter I built in the woods of NJ. As you can see, most of it is just using the materials you have to create something that protects you. I still have to add the leaves to the top of the frame. Signaling for a rescue is just as important as the other items. The sooner someone knows to look for you, the better your chances of survival. I carry a lot of options here. 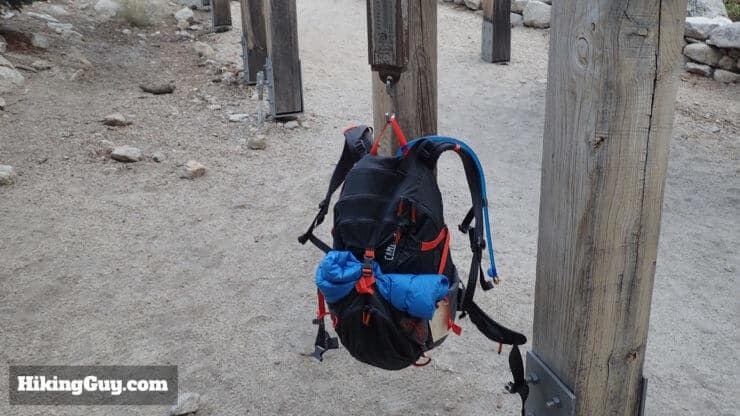 Most of the ten hiking essentials can be used on a normal, everyday hike. For example, you’ll obviously drink water. But what happens when you are in an emergency situation? Use your navigation tools to figure out where you are and try to get to where you need to be. If you are injured or are lost, find a safe spot of land to wait. Ideally it’s in the clear so you can signal rescuers. Use your hiking essentials to build a shelter, take care of your body, and get comfortable. Wait for rescuers. Don’t move. Wait where you are. The hiking gear that’s in your emergency bucket can change based on your outdoors skills. If you’re an experienced outdoorsman who knows primitive skills, you might be able to survive with nothing. Check out the show Naked and Afraid to see what this looks like in practice. If you’re not adapt at outdoors skills, it’s easy enough just to pack the hiking gear that will make surviving in the outdoors possible. I know some primitive skills, but I still bring lots of gear. The more survival tools you have, the better your chances of survival. The reality of getting rescued is that you’ll probably have to wait. 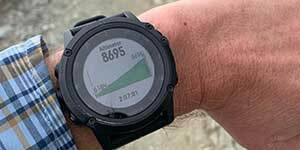 Even if you have a backcountry satellite distress beacon (PLB), it might take search and rescue up to a week to actually get to you. Things like location and weather can throw a wrench into a speedy rescue. Here are some other tips that will help you stay safe and alive out on the trail. Don’t hike in winter conditions unless you have experience doing so. 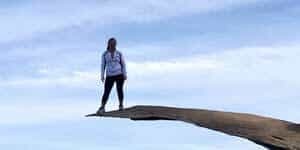 Every year I see dozens of preventable hiker deaths in the winter. Hikers attempt a trail that’s straightforward in the summer, but in the winter becomes a mountaineering exercise. Don’t push yourself past your limits. Build your strength and distance in a gradual way. Stay hydrated and fed, even if you aren’t hungry or thirsty. Heed signs and warnings. Sometimes they seem very basic and aimed at beginners, but they’re there for a reason. Stay on the trail, avoid shortcuts, and always know where you are and where you’re going. 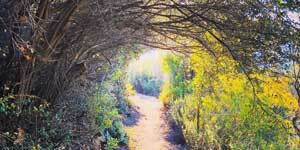 Check out my “hiking for beginners” post to make sure you haven’t missed anything important. Leave your hiking plans with a friend or family member, along with a time that you will be back by. If you’re not back by that time, let them know that they should call 911 and alert the authorities of your situation. Usually this is as simple as forwarding a link to a hike web page in an email. Worth the 2 minutes it takes. Practice camping overnight with your emergency gear in your backyard (or a nearby park). 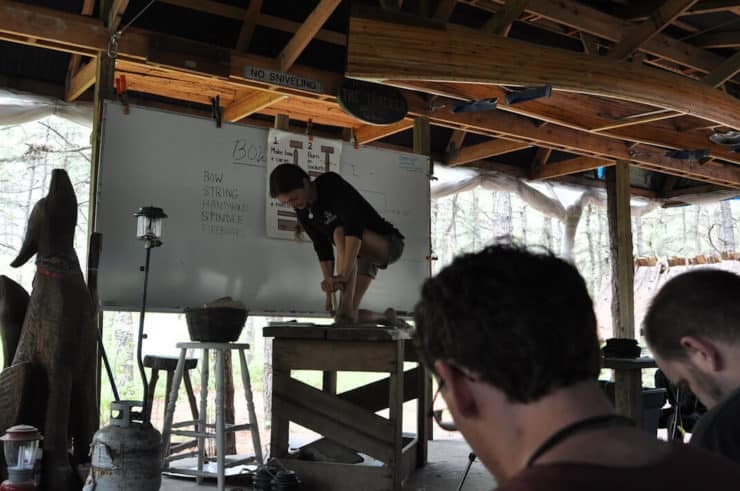 Learn some primitive skills to help you survive in the outdoors. You can watch videos on Youtube, or even attend classes all over the country. I’ve gone to the Tom Brown Tracker school and it was pretty awesome. And even though I know primitive survival skills, I still bring all of the emergency gear that I mentioned earlier. It’s better to have as many options as possible. Take a wilderness first aid class like this one.